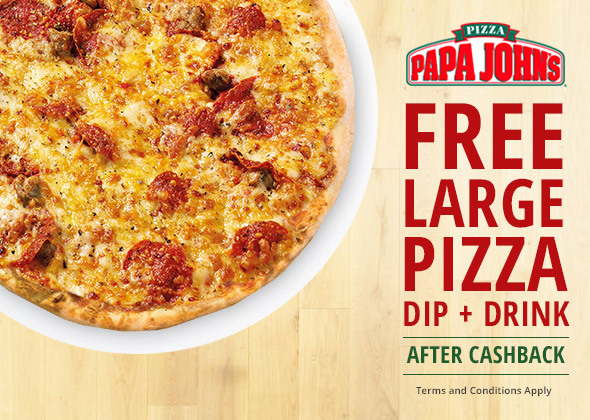 Free Papa Johns Pizza for March 2015 with Top Cashback! You’re probably thinking “Did I read that right? !” Yes you did, we repeat, Free Papa Johns Pizza! 100% cashback up to £11.38 (min website spend £10.99). TopCashback are probably the most generous free cashback and voucher website out there! Just like with us, you save money on purchases through thousands of merchants online and in-store.